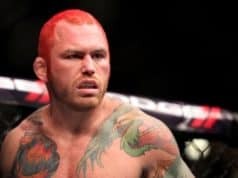 Fresh off his 25-second knockout at BKFC 5, Chris Leben will be back in the squared circle to take on another former Bellator MMA veteran in Brennan Ward. 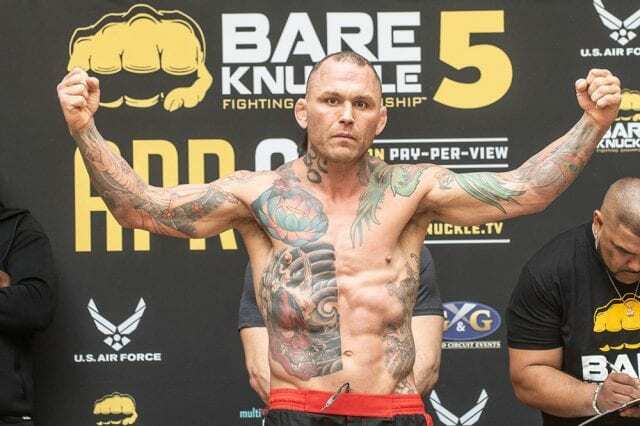 “The Crippler” showed out in his promotional debut last weekend at BKFC 5 in Biloxi, Mississippi. So much so that Leben already has another fight confirmed with the organization for their next event in June. He confirmed the news on MMA Junkie Radio on SiriusXM. While Leben is fresh of his second bare knuckle knockout win in as many contests, Ward hasn’t competed since losing to Fernando Gonzalez at Bellator 182 in August of 2017. However, he does hold a victory over Curtis Millender, who fights on this weekend’s UFC 236 card, in a 2015 Bellator bout.